There's a lot of love here for Super Joe. I even did 12" versions of him. Hello all. I am hoping that some of you can help me identify some of the items in the pictures I have here. 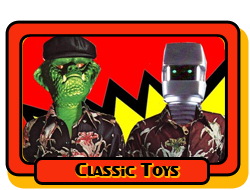 I believe they are all Mego items, but I am not 100% certain. The Bat Girl head is different than the ones I have seen because she has a black mask instead of blue. Any help with identifying these would be much appreciated! Thank you in advance. The rifle with the chipped silver paint is LJN, either Rookies or SWAT teargas rifle. The m16 looks ljn as well. The Cheron blk/wht head looks original. The bearded head obviously a Klingon with a beard added. The batgirl looks like ctvt ftc to me. Something about the hair. 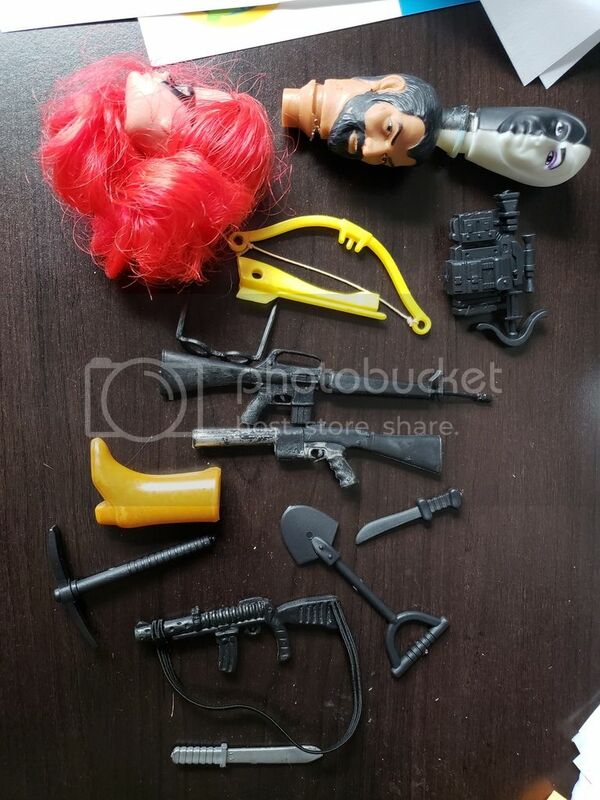 The crossbow parts look very yellow so I suspect they are doc mego. 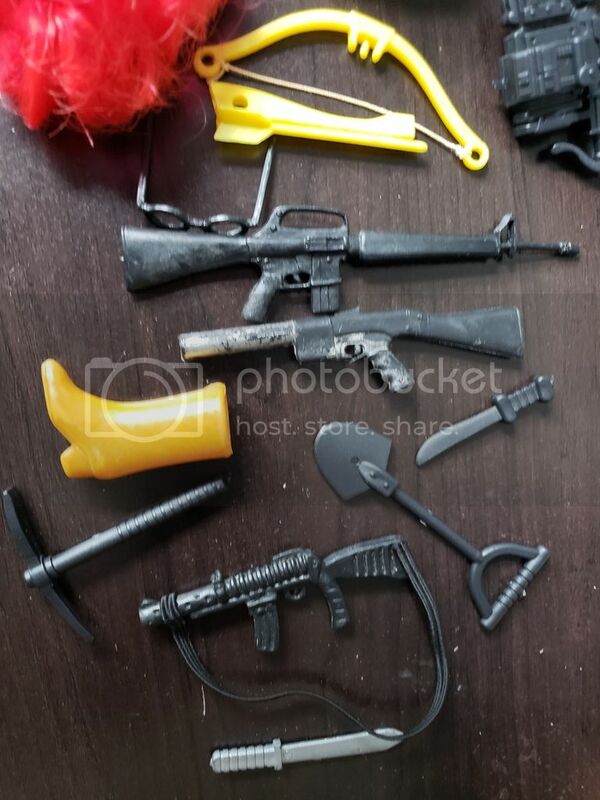 The pick, shovel and top knife I am 90 percent sure are coleco Rambo pieces.the bottom knife no idea. The glasses if they're real would be Clark Kent pieces ... I would guess repro honestly just due to rarity. The yellow boot looks like a ctvt repro of a batgirl boot. Hi, I'm new to the forum and curious about a group of Star Trek "The Animated Series" (TAS) jigsaw puzzles I acquired back in the 80's. Each puzzle is 10" X 14", came in plain box with no signage, image or description, but included a poster of the puzzle that's the same size. I guess they're 150 pieces as they're still sealed in the original plastic bags (see attached photo). I've seen online pictures of the HG Toys 150-piece Star Trek TAS puzzles and their boxes, but none have shown these posters. I assume they are by HG Toys, but the only printing is the Copyright "1974 Paramount Pictures Corporation" and the picture title. The three titles are "Battle on the Planet Klingon", "Battle on the the Planet Romulon" and "Captain Kirk and Officers Beaming Down". 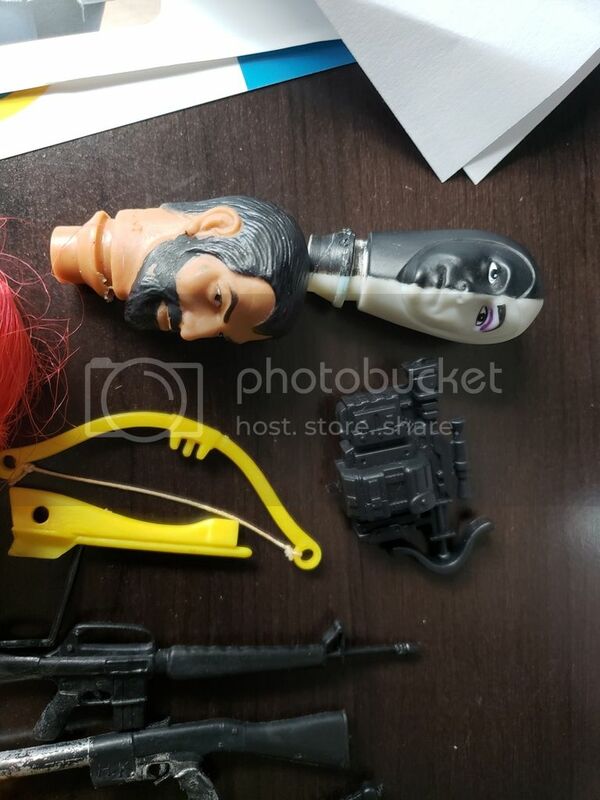 Could someone please comment if these are the HG Toys items and if the posters were always part of the package? Any advice would be greatly appreciated. Hmmm... can't get the image to appear in this message. I'm trying to identify an electrical game I had, around '79-'80. It worked on the same principle as Operation, except it featured plastic creatures--spiders, scorpions, and something else, beetles? --on a metal plate. You retrieved the bugs, which were color-coded for different points, with the forceps. I can't recall what drove the game--a timer, cards? Thanks! 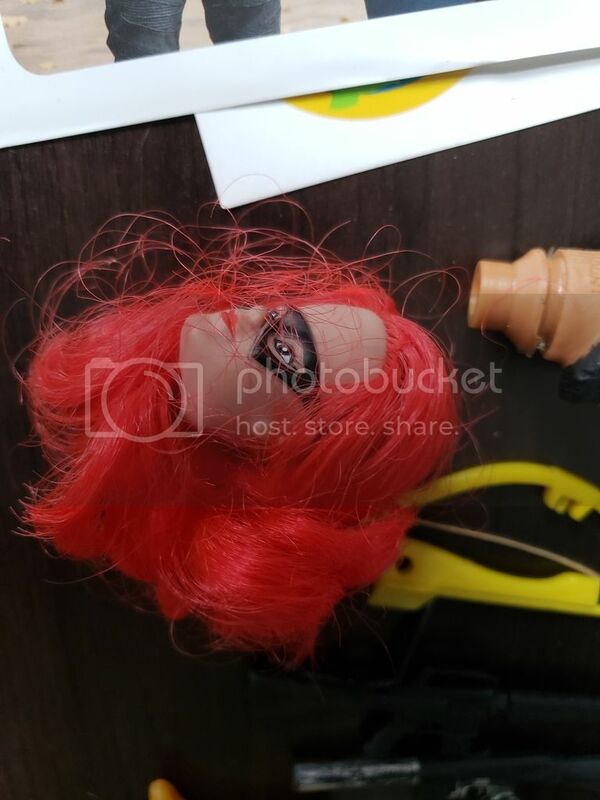 Is there a standard name for toys that collapse with a string inside the plastic? Are you thinking of push puppets? In the mid-60's, my brother had a military playset where you controlled the troops/vehicles from underneath the playing surface with a magnetic wand. It was probably similar in size to Marx army sets, but I think it was not a Marx set. The particular set my brother had was a bombed-out WWII village with crumbling buildings and walls. You could move your troops and tanks around the village using the magnetic wand. Any ideas what this might be? I'd appreciate any help. Thanks, but no. "Bedbugs" looks fun, though.